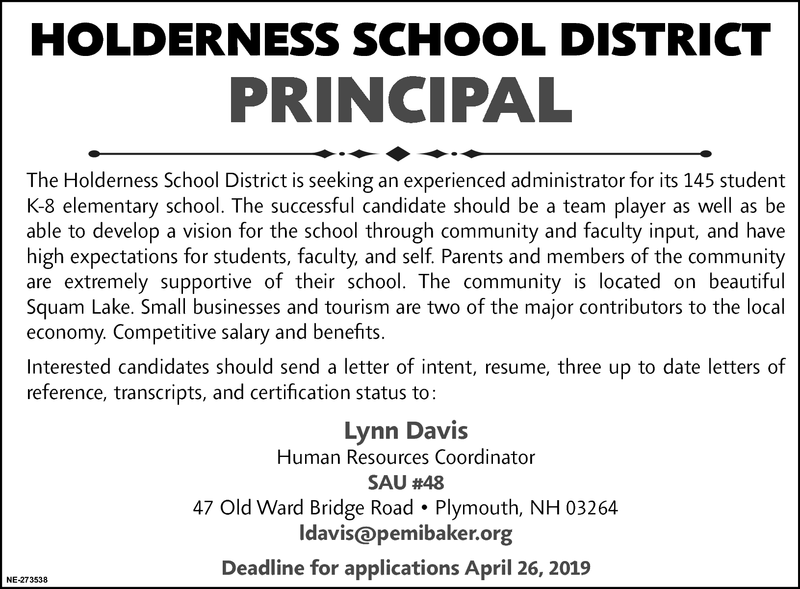 The Holderness School District is seeking an experienced administrator for its 145 student K-8 elementary school. The successful candidate should be a team player as well as be able to develop a vision for the school through community and faculty input, and have high expectations for students, faculty, and self. Parents and members of the community are extremely supportive of their school. The community is located on beautiful Squam Lake. Small businesses and tourism are two of the major contributors to the local economy. Competitive salary and benefits.